After several months of preparatins and successfully passing the final exam, the new generation of defence attaches and the assistants to the defence attaches of the Republic of Serbia were officially handed over their new duties, on June 17, 2010. 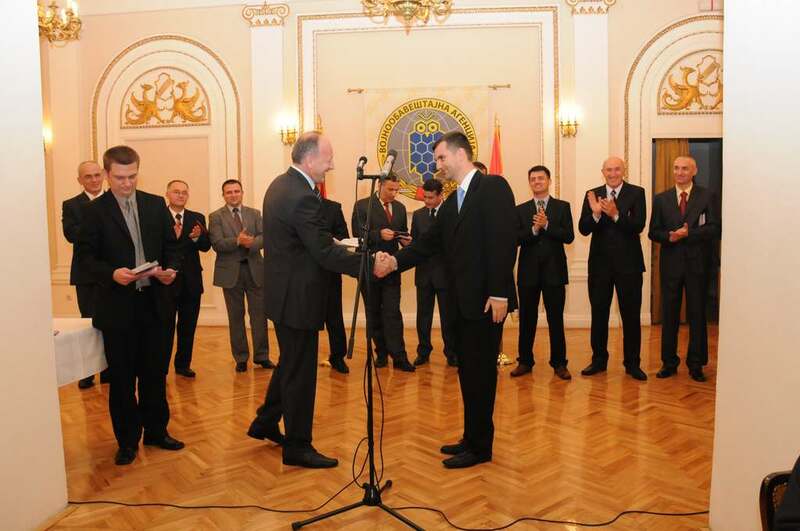 On June 17, 2010, the Minister of Defence Mr. Dragan Sutanovac received the Acting Director of the MIA Brigadier General Dragan Vladisavljevic, who was accompanied by the new defence attaches and their assistants, who would in the future perform their newly assigned duties in 13 states. Apart from giving them the last instructions, the Minister of Defence wished them success in their work and stressed the importance of the tasks related to the work of defence attache offices and reminded them of the priorities of the defence and foreign policies of the Republic of Serbia. 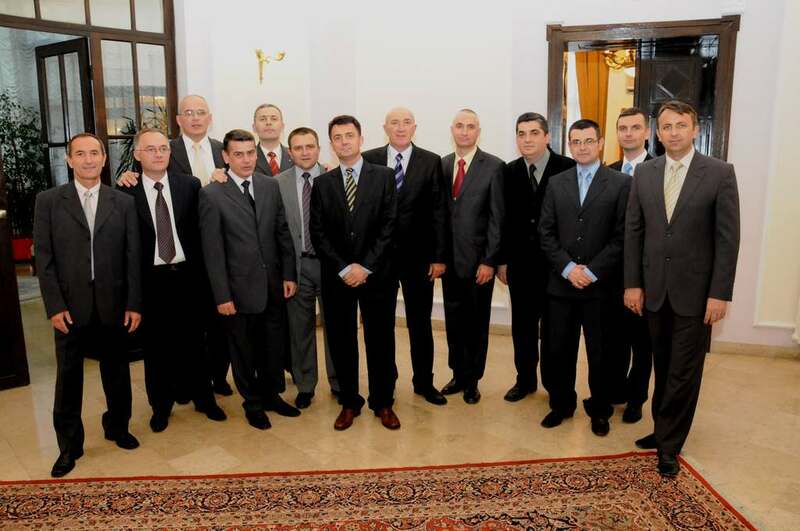 In the evening of June 17, 2010, a celebration was held in the hall of the "Dom Garde" in Topcider, attended by respectable guests from the Ministry of Defence and Armed Forces of Serbia, the Ministry of Foreign Affairs, the SDPR and other institutions, apart from the MIA members. The Acting Director of the MIA, Brigadier General Dragan Vladisavljevic handed the group of officers who were to go abroad their passports and, on behalf of everyone present, Colonel Nikola Lunic thanked the colleagues from the MIA for their support in the process of preparations.